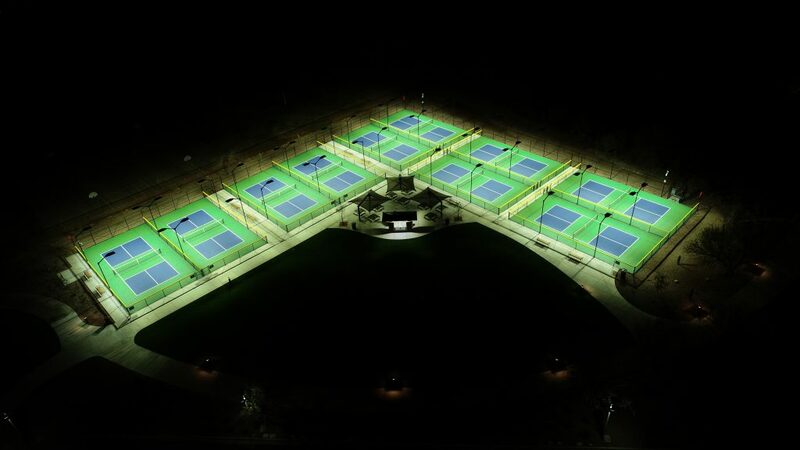 Frasure Reps supplied (40) LSI LED CourtBlade fixtures for 10 new pickleball courts at the Anthem Community Center in Anthem, AZ. 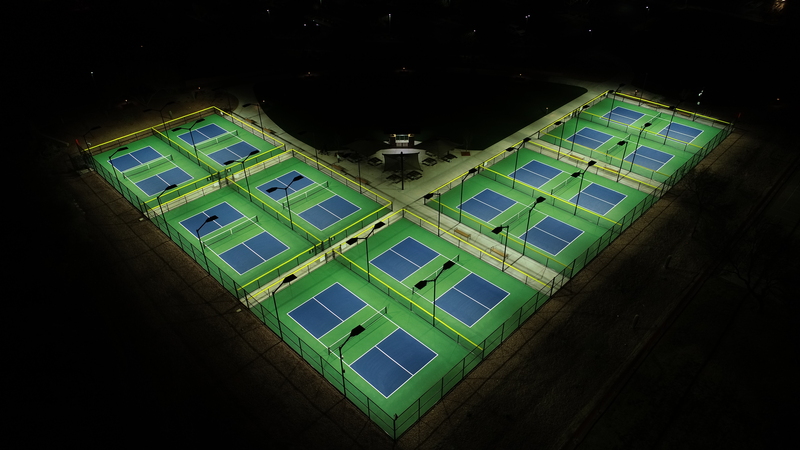 Each court is illuminated at 70+ foot-candles for tournament-level play. The facility opened on January 19, 2019 and is home to the Anthem Pickleball Club.